"Everyone is a teacher in a relationship, that's how I see it now." The 32-year-old singer was joined by her British actor beau at the UNICEF Snowflake Ball in New York on Tuesday night, where the "Roar" star was presented with the organization’s Audrey Hepburn Humanitarian Award. And speaking to Entertainment Tonight on the blue carpet at Manhattan’s Cipriani Wall Street, Katy revealed Orlando has taught her a lot – and not only about UNICEF’s work around the world. 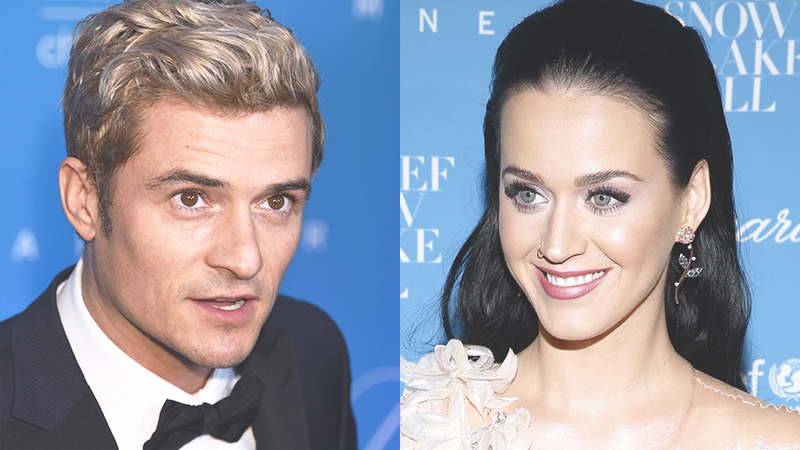 “Well he was a previous award recipient last year, so he knows it better than I,” Katy said of Orlando. “And he’s been a UNICEF ambassador for over 10 years and I’ve only been a few years so he’s kind of shown me some of the ropes. Katy looked incredible in a snowflake inspired white and silver dress which showed off her slim figure as she posed for photographers. But one accessory which was noticeably absent from the singer’s ensemble was the dazzling jewel she had been seen wearing on her left ring finger during a Monday night stroll with Orlando. Katy had sparked rumors she might be engaged to the Pirates of the Caribbean star with the ring, but left her ring finger bare for the Snowflake Ball. According to guests at the event, Katy was left stunned by Hillary’s attendance at the event, and was even moved to tears.